Our store front at the Ajo Copper News. 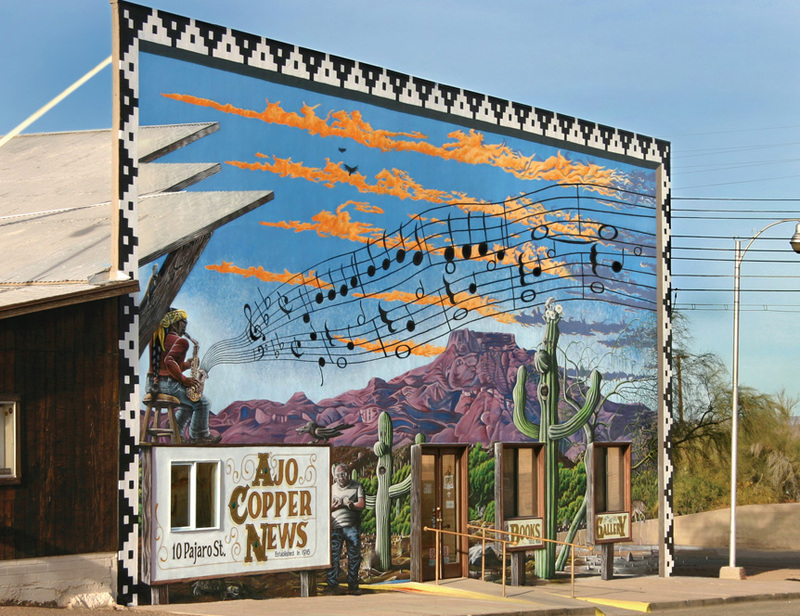 The Ajo Copper News is an art gallery and book store in addition to publishing a weekly newspaper. What is the tune? Email the answer to hopd@cunews.info along with your postal mailing address. either Geoscapes or Magic Mirror Image. My thanks to Lonewolf (aka Mike Baker) for his many hours of help and advice with this mural.